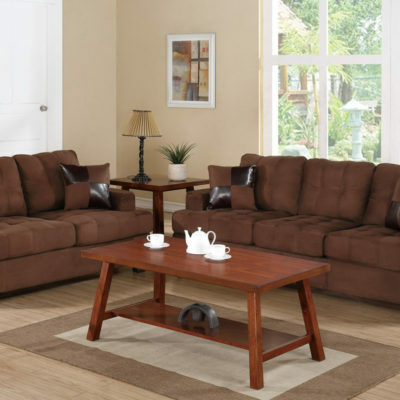 Impress upon your guest with this magnificently constructed 2-piece sofa set that features a bold designed with accent tufting on the low back support and plush seating. Impress upon your guest with this magnificently constructed 2-piece sofa set that features a bold designed with accent tufting on the low back support and plush seating. This retro-styled collection also features peg-style leg supports giving it an elevated feel.